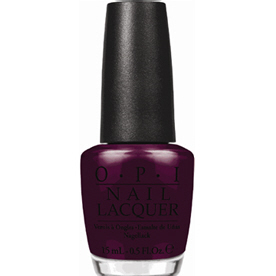 OPI Nail Polish, In The Cable Car-Pool Lane, NLF62, .50 fl. oz. Deep burgundy berry creme nail color.